The topic of police brutality has again made its way to Tampa Bay with a reported police attack on Sarasota resident Chad Washington. The attack is believed to have stemmed from a call Washington’s fiancé Darnesha McMillan placed to 911, when he started vomiting and foaming at the mouth. 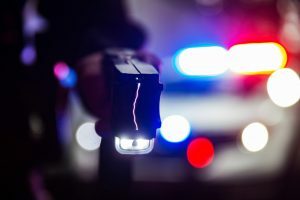 McMillan reports that rather than offering medical assistance, the officers who reported to the scene charged Washington, shoving him to the floor and then punched and tased him. The police have since claimed that Washington was high on drugs, but have failed to provide any reason for their failure to attempt to de-escalate the situation and provide medical intervention before the violent takedown. It should be noted that the officers who were involved in the incident suffered only minor injuries and have since returned to work, while Washington is still being held. Police brutality is at epidemic levels nationwide. If you or a family member suffered at the hands of overzealous law enforcement, call Action Legal Group at 877-466-4494 for help.